One of the things which make The Hamsa so special is the location. Our resort is situated in the middle of rice field terraces on which Balinese people farm the land by hand using water buffaloes to pull their ploughs. 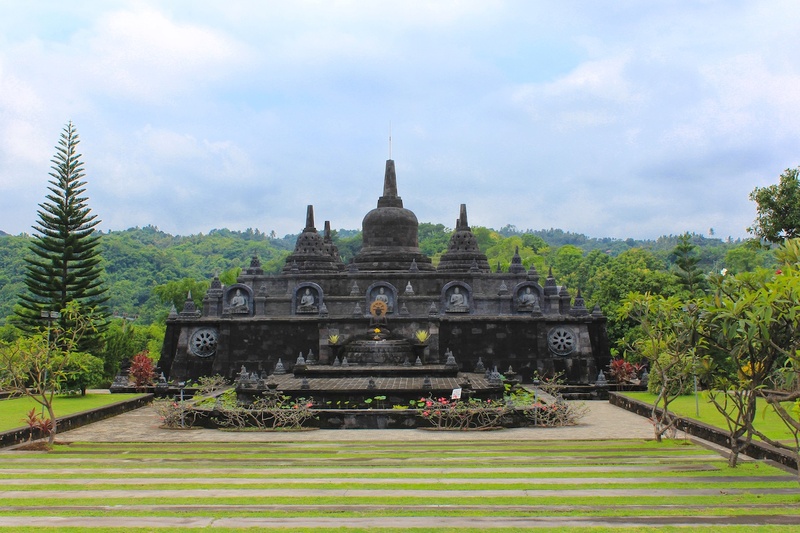 North Bali is much less touristic than other areas of the island leaving it unspoiled, mystical and authentic. Local Balinese culture is evident here, local beliefs are fervently followed and national dress is often worn, especially for temple ceremonies. 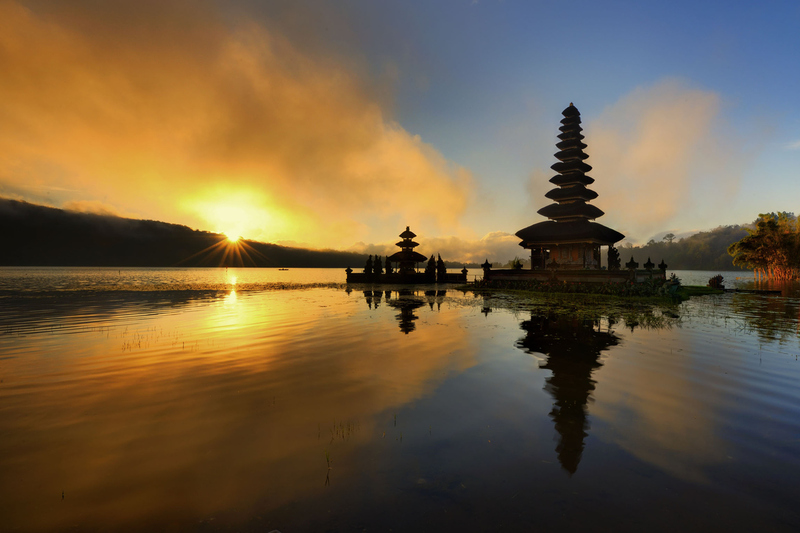 You will certainly want to explore this unique part of Bali. Therefore we have chosen the most interesting and picturesque day trips for you. We organize them for you and use only carefully selected tour operators and guides. dolphins in their natural habitat. There are an abundance of dolphins in the Lovina area, so your chances of a dolphin encounter are very high. These intelligent animals take their early morning exercise here and love to jump after the many schools of tuna fish and play in the ocean. 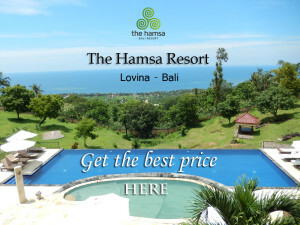 IDR 250.000 per person (minimal 2 persons), including transport, leave from the hotel at 05.30. 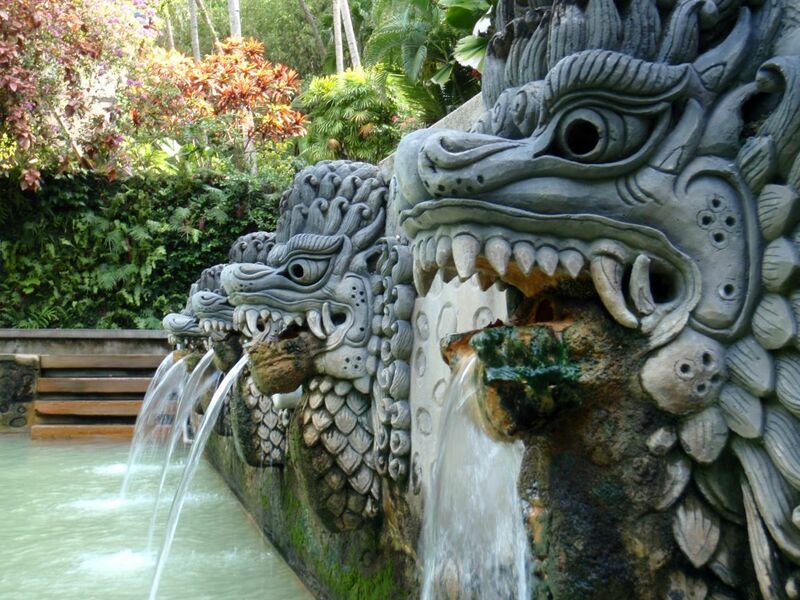 Cleanse your body and mind in this holy hot springs. Bathe in the naturally heated spring water and then have a relaxing massage or take a drink in the on site restaurant. Just a few minutes away you will find the Buddhist Monastery, where you will already start to feel completely zen and can meditate with the monks in the sacred grounds of the monastery. IDR 250.000 per person, including transport, leave in the morning. 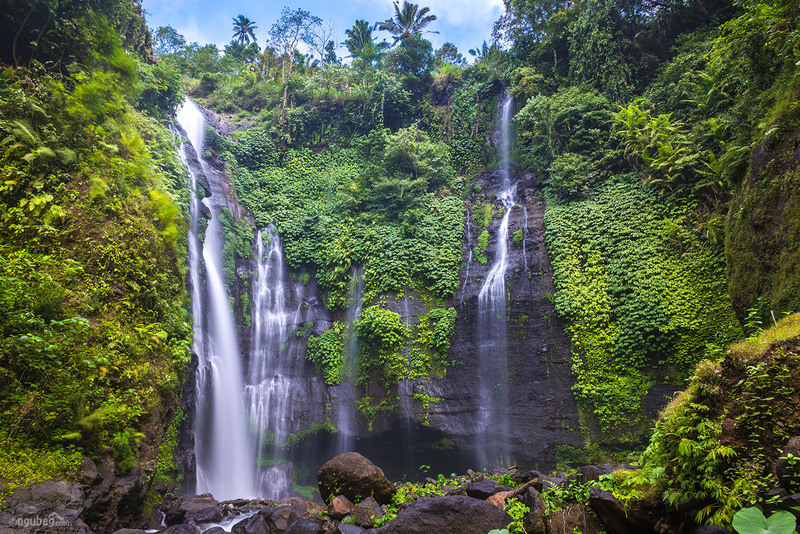 The largest and most impressive waterfalls on the island of Bali yet beautifully hidden in the jungle and therefore not discovered by many tourists. After a delightful hour’s walk along the track by the waterfalls, you will be rewarded by the opportunity to dive underneath the largest of the seven waterfalls to refresh yourself. anemones in an area of national park.